Youth For Christ Gloucestershire supports young people of any or no faith across the county. Each month YFC Gloucestershire has approximately 1500 interactions with young people in youth clubs, schools and churches through a variety of work including mentoring, student support, drop-in clubs, assemblies and extra-curricular activities. Young people are provided with an opportunity to consider positive life choices that equip them for life. Where young people choose to, they are also given the opportunity to consider the relevance of the Christian faith. This is in line with the mission of Youth For Christ to take the good news relevantly to every young person. For over 40 years YFC have been making a difference in the lives of Gloucestershire's young people. In May a team of cyclists will be attempting to cycle from North to South Wales to raise funds for our work with young people. 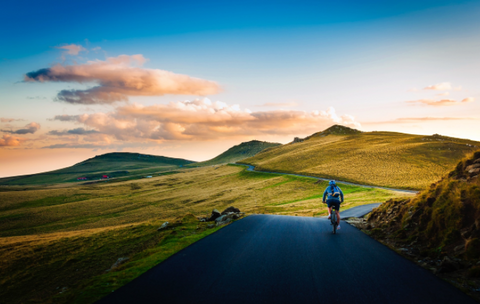 Lon Las Cymru, or North to South Wales, is a challenging 210-mile route through the country’s most mountainous countryside, including the Brecon Beacons and Snowdonia. It is one of the most challenging rides in the UK, behind Lands’ End to John O’Groats. The scenery is among the finest in the UK, starting at Holyhead and heading across valleys, mountain tops and estuaries until arriving at Chepstow. Ridden over four days it is a challenging ride. To find out more about how to sponsor or join the ride click here. We are currently working on a new and much improved website. We hope to launch it by the end of January. In the meantime we apologise if the current site is a little out of date. We are doing all the work ourselves and are trying to fit it in between all of our youth work. We know that when it arrives you will like the improvements. For details concerning our governance and charity framework please visit the Charity Commission website. © Copyright Youth For Christ Gloucestershire. All Rights Reserved.